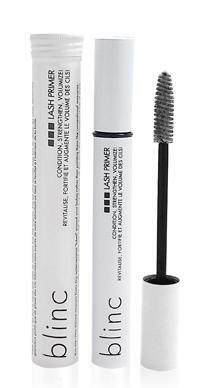 Blinc Lash Primer is formulated for proven and noticable lash/eyebrow treatment and eyelash enhancement. Whether your lashes are tiny or you are simply looking for incredible volume and length, blinc lash primer is the solution. Developed to complement the blinc Mascara, this lash primer provides a greater base of volume & length for your lashes, prior to applying your mascara. Apply one or two coats before going to bed or wearing mascara. Note: Also great for eyebrows. Apply one coat and let it set for 30 seconds. Keep applying coats until the desired lash volume, length and separation is achieved, always letting it set 30 seconds in between coats.